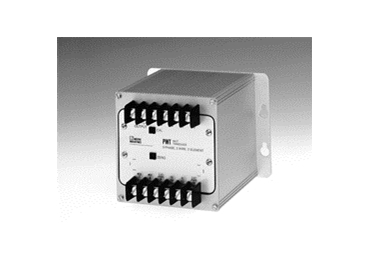 Available from Moore Industries-Pacific , PVT, PWT and PWV AC power transducers constantly track the amount of power being used by an electric device or system. PVT, PWT, and PWV AC power transducers can be supplied in 1, 1-1/2, 2, 2-1/2, and 3 element versions that can be self or externally powered. All AC power transducers feature an extruded aluminium housing that is rust resistant and robust. This house will also provide excellent heat dissipation. A high level of reading accuracy (±0.2%) makes these transducers ideal for applications where precision is essential. The full input/output isolation eliminates signal inaccuracies caused by ground loops.